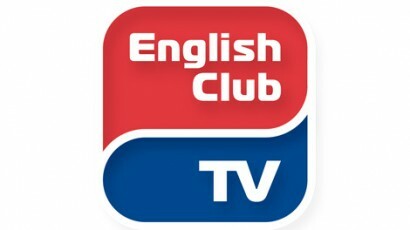 The English Club TV Group has announced the forthcoming launch of the English Club TV channel in Latin America. Since September 1, 2016, the channel for English language learning will be available for viewers in the region from the Hispasat 30W-5 (Hispasat 1E) satellite. The satellite covers most of the Latin American territories as well as the Caribbean and will be distributed via DTH, OTT, IPTV and cable providers. The English Club TV channel will be offered along with the English Club TV content library that includes more than 150 hours of edutainment programs available for VoD and educational markets. The distribution of the English Club TV channel in LATAM region will be driven by the Media Partners International company headed by Jo Spalburg. “According to British Council data, about 40% of Latin Americans stated that they learned English to improve their job prospects while 75% of non-English learners are eager to study the language in order to get higher salaries. In the meantime, most of those who hadn’t learnt English stated that it was due to the high cost of English lessons (50%) and the lack of access to government-funded programs (32%),” said Yuliya Neyman, Head of the Marketing Department, English Club TV Channel. “The English Club TV channel provides its viewers with the unique opportunity to study and improve English just in front of their screens, tablets and smartphones. We have been producing an effective and useful television network for more than 8 years in Europe, Africa, Asia and the Middle East. Now we are excited to start operating in LATAM and we are happy to help, support and motivate,” concluded Andrew Semchenko, CEO, English Club TV Group. Media Partners International (MPI) is an International Business Company that was created to facilitate business and media exchanges between Europe and the Americas, in particular Latin America and the Caribbean region. Acting as a catalyst for many world class European TV and Radio networks and travel related clients, MPI represents a diverse number of complementary, high quality European media in the Americas. For further information, visit: http://www.mediapartners.eu.com.